— “A new truth at the beginning of its existence always seems a heresy” (Thomas Hawksley). When you try to implement a shift in people’s rigid paradigms, you face tough rejection and even attacks. Not long ago your father even asked the public to support him against the establishment. What difficulties did you face personally, going against established orthodontic system? Sometimes I’m asking myself, why I’m doing this. I’ve blown everything. But I live by the world of orthodontics. I’m taking a long way there. I cannot believe myself that some personal sacrifices I’ve made to be at this point. This decade from forty to fifty is supposed to be earning the most, that must be prime of your career. Instead I’ve lived in hotel, I’ve blown millions pounds of cash money, I’ve worked fenomenally hard, several years I haven’t earned so much, I’ve learned so long — and now I’ve started this campaign to debate with the British Orthodontic Society. So I’m now condemn myself, but I will go forward with this process. This is scary. Yes, I’m believing in what I’m doing, yes, I have a passion for doing this, but it is still scary. To say this organization and all orthodontists following this in the planet are wrong. What they gonna say? Saying anything will be used against me later. That’s what on my lawyers are working about. But the British Orthodontic Society has power to destroy me. I would limb on my YouTube channel. But I will gain change even they will throw me out. I will go till the end. I will gain my father recognition that he deserves. And I will get the best treatment for patients. Why I was going to the passion to all this? I don’t know why. We tell to find our kids the passion and I’ve found my passion. And it is to make people better. I hope I can pay back a little bit or more of money I’ve thrown on this, my time and effort. Yes, that would be nice, it’s potential. If you getting the best facial results with that improvement of health, you would like to earn money. But it’s secondary. Money is not the enter. That was passion to do the thing. To move this forward. My father didn’t expect anything from this. He did so much with his personal money. This is a family story forty years at least — and now is thrown everything just because we wanted make the world the better place. — As far as I understand, your conflict with the British Orthodontic Society occurred because of your YouTube channel. Interestingly, that under each video people from all over the world write hundreds of comments that you literally saved their lives with your educational videos, absolutely free. And thankful fans even have made photo collages on you with the halo over your head and inscriptions: “I pray for Mike Mew everyday”. So it’s not clear why the British Orthodontic Society now strongly recommends that you close your channel and remove your videos. What is there in the background? My YouTube channel seems to be doing phenomenally well, it seems supposes any expectations I have had on it. We’ve built up social media “empire” — we’ve got Facebook, Twitter, YouTube. But seems YouTube is to be taken off the most. I made videos to explain people, what I’m doing, interest them to do something effective. 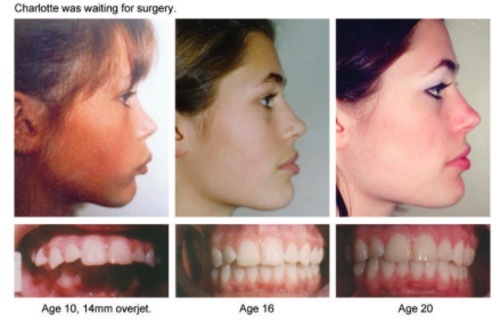 Because they’ve been effective, they gain an attention of the orthodontists around the world. I would imagine that there were patients, going to their orthodontists and asking difficult questions, in every country all around the planet because of my YouTube channel. And I imagine a lot of English speaking countries this is becoming a huge issue. And I imagine then that a lot of these orthodontists complain, message to reach the British Orthodontic Society in the UK. So I’ve got a letter from the British Orthodontic Society about year ago now in fact so they sent to me — they didn’t like the videos, particularly one video with Steven Lin, where we talk about orthodontics and things. And the British Orthodontic Society told me that what I’m saying in this video is incorrect. That breaks the rules of the British Orthodontic Society, but this is only a club. And they want to throw me out of this club. So I then started asking them what you exactly didn’t like and they say: “You just need to take down the videos, another way we just throw you out”. Actually I’d like they to tell me what I’m saying. 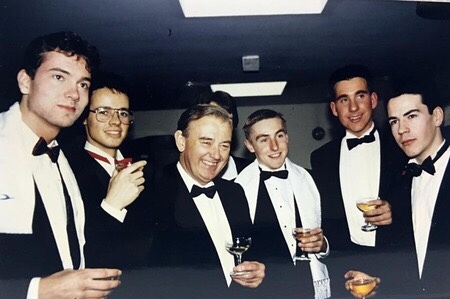 I was trying a debate what is challenging malocclusion in the years. And I’m really concerned that orthodontics can in some situations on some people cause the down swinging facial grows, can cause the sleep apnea. 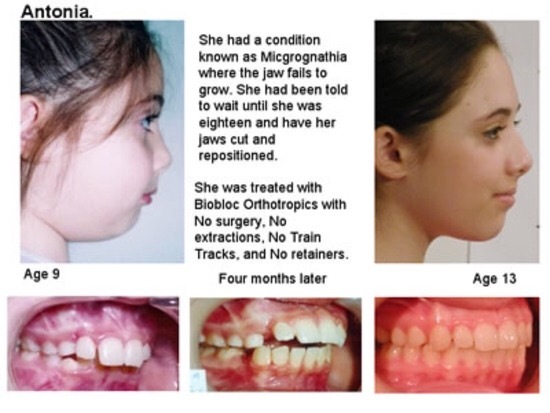 But the British Orthodontic Society doesn’t want this. Today I’ve pushed on every angle. But they can’t limit me in what I’m doing. I’m not gonna taking down videos or the information from my website or my channel. So where are we now? I didn’t get the debate with the General Dental Council. That was my objective when I started campaign with the petition. As long as we’ve built this large social media “empire”, I thought “well, we should go to the people”. I met someone who was very capable — Claire, she wanted to help. She told that like the petition idea, but don’t like my idea to make a General Dental Council whole the petition, what challenging malocclusion, what is the cause of crooked teeth — who cares about these things? 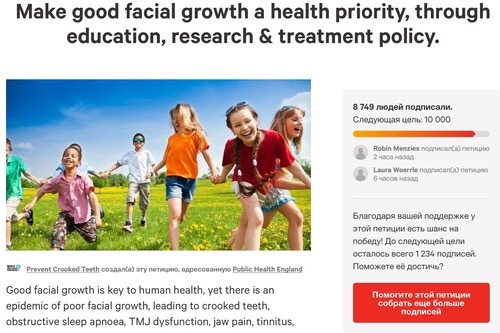 She adviced to focus on the benefits of good facial growth of young kids and I have the prevention already in my head. So we’ve started the campaign (you can join too, signing the petition on the website change.org). The whole world, not just British people are involved in this campaign. But idea is to get changes in Britain, as it’s the perfect place to gain change. Here govern the place of orthodontics. Sleep apnea is consequence, so the possibility preventing all these costs is huge. Our Health Care as other health care systems in the world is screaming from the lack of money. We are already having system groups and committees that look signs behind things where they gonna invest their money. Money should go based on evidence. So we need to get the petition to get to the point where we can get that change. — And how did your relationship with the British Orthodontic Society go after their ultimatum to remove your videos or to leave their “club”? So now I’ve got the British Orthodontic Society who don’t want to debate with me, why teeth are crooked, going through my videos, finding things they don’t like and reporting me to the General Dental Council. And they want to kick me out. Which is very lucky for me. Because now I’ve got the top fantastic legal team giving me very sound good advice. This is not for free but covered by my insurance, but their advices are fantastic, and I thank “Hempsons” for this protection. Chris Morris found me incredibly frustrated. They spy my incident with the General Dental Council and found one interesting thing about the British Orthodontic Society. They became charity, I think, for financial reasons. But in becoming the charity they had to fill out the paper who is your beneficiaries — in which interests are they acting? In interests of current and future patients. But they’re not acting in the interests of their beneficiaries. They bridge the rules of the charity. They should do what I’m asking, cause beneficiaries would want they would do. They’re angry of all information I’m putting up. In a way I’m putting this information out to gain interest. But I also putting this information up because is the truth. And this helping people. Clearly is helping for a lot of people. But they want to close it down. Just my truth is different from their truth. But my concern is I’m open to debate and discussion and they not’ve been opened to debate and discussion. So in that fact they’re wrong. And I know their beneficiaries would want them angaging open debate on why teeth are crooked. Without question. But I think they gonna be down fall now. 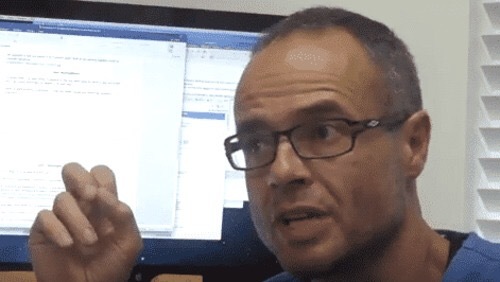 — What was on the list of allegations that the British Orthodontic Society made about your videos? So my legal team wrote to the British Orthodontic Society. 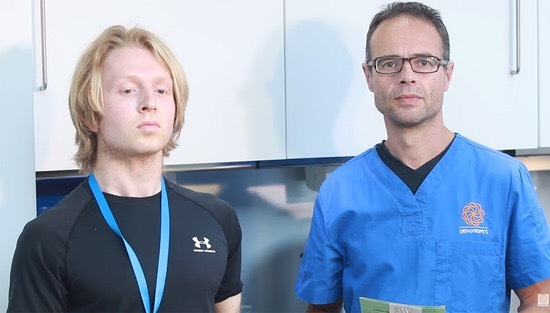 You need to give to doctor Mew specific allligations, you can’t just say “oh, we didn’t like the videos, and you gonna take it down or stop becoming be a member of the British Orthodontic Society”. And they say “ok”. They’ve got someone who is Alison to make a list of allegations against me. Clear it was her task. And she said that there not much in that video with Steven Lin, not really to get him. She clearly hunted through the videos probably taking advice, I suspect, from a couple of other people, and come up with the list of allegations. But how can they judge me? I cannot be judged by a committee who believes malocclusion is due to the genes, when I believe that truth is because of the environment. We also suggest that we should have disciplinary meeting they want to have it opened. So that to we have an open meeting. Because that would be a lot of benefit from this. I’m concerned about “private” meeting with this British Orthodontic Society, where there is a “private club” under charity. If they throw me out, it’s not the end of the world. But that does damage my reputation. And I think I’ve done nothing wrong. I hadn’t somebody to push me around for doing the right thing. And I was very stubborn in times. Whatever the scores. My legal team just keep telling me to resign. I’m in a very difficult situation, when your every argument they already know. But I’m going to this meeting. What about my videos, it’s a public information, opened to everybody. It’s a shame we’ve got this gap between so many different groups in orthodontics. You have the “main body” of orthodontics and lots of other groups. Not only orthotropics they want to crush. They’re trying to crush hundreds of groups. It’s criminal. Almost in every country there is an orthodontic practitioner having practice whose career destroyed, his life is destroyed. Because he’s doing an individual orthodontics which in his area not believed in. You can have somebody in Canada doing something the Australians believe but he got there because Canadians doesn’t believe. And vice versa in Australia. It’s like a witchhant. It’s some religious event going on. If you don’t believe in what the most part believe — you must be thrown out. And it’s big complication for the people’s life when you stop them practicing, stop them earning income. And of course if you can’t practice — stop income. And that is what people want to do to me. They want destroy me. If they remove my license to practice they know what will be with orthotropics, all this movement… I will probably survive, but put it back in decade. And of course, I’ve spent everything — sold my house, luckily my mother was relatively wealthy background I’ve blown all on orthotropics. But it’s nice making money when making faces more beautiful and people healthy. This got to be somewhere, I’ve got some ideas, but why I stroke off — me and my kids on a street, it’s crazy. I’m going to this Committee, where in a room sit ten-twelve members hate me and all of them think I’m charlatan. Years ago when they started with my father with very good relationships. But the further and further he became, they wanted to distance themself. The more he tried to have an allegation the further they distanced. It’s easy to be in establishment, they think they do a right thing. But the actions they did to my father have been reprehensible, just terrible. They don’t know the full story, there is no dialogue, no conversation between us. I cannot live on this money, will be very difficult to live on this, we are really like monks almost, for years I was on my work, there were fenomenally efforts trying to get this process forwards. The activity of establishment must be based on evidence. They can’t just say I’m wrong. They must discuss this with me. I believe that beneficiaries patients would want to do this. I consider in a possibility of prevention. If we are treating problem, we must understand what cause the problem. Their allegations are a little bit silly. But that will be a very scary thing to go to this little room. I risk my life, my career. I risk everything on my beliefs. It is very frustrating. 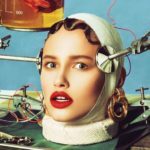 It is like being stuck in a movie where no one wants to believe the truth, everyone has been conditioned to believe the mantra of orthodontics and the idea that your face is set and unchangable. I have all the evidence but no one wants to look at it, to consider the truth, they all know that I am wrong before I open my mouth. 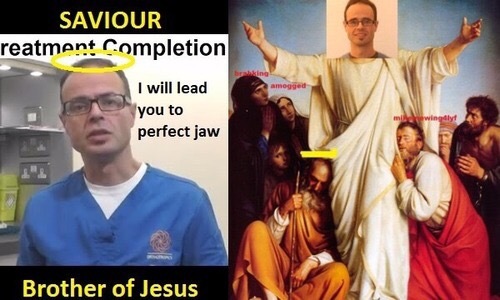 The unanimous decision of the British Orthodontic Society is that “in our opinion your conduct is contrary to the interests of the society, it is the Board opinion that your social media campaign has made a number of statements, which have misled or have a potential to mislead patients and public. The Board considers that your actions through your social media campaign constitute a potential risk to patients both physical and psychological. That is inconsistent with the society’s aims of maintaining and improving professional standards to improve the quality of patient care”. I really didn’t say much. I really couldn’t defend myself in a detail as I couldn’t fully angage in a full debate. I feel that this is unjust and unfair, and a symptoms of a medical group unwilling the scientific facts. I could’ve just taken down the videos, but that would be giving in to politically motivated censorship. Then this social media thing gets going and all of you are listen. My life feels completely surreal. I see these people on the news for having achieved some small change who are congratulated and applauded, while no one interested in this. So sign petition. It’s about making facial growth priority. It has to be. We gonna teach our kids how to brush their teeth, so we can teach them breath trough the nose and keep the mouth closed, and possibly even sit up. You are called “Mews — father and son”. At what point did you decide that you would like to follow on your father’s footsteps? I was fourteen when I decided become a dentist. I rarely thought I would like to be an orthodontist. But my father’s passion was infectious. I was talking to my father about these ideas and concepts. He would sit home at the kitchen, didn’t matter if he hadn’t an office. But he always spread himself out on the kitchen table doing a projects, doing something. And I was listening and watching that was doing dad. That was infectious. — Why at the beginning of your career did you go to work first to South Africa, and then to Australia? I was never the best student, I’ve never gonna thinking parallel lines. I’ve never gonna think as a machine — there’re someone who wants to transform somebody else how to think, how to do things. Also I’ve had a great time at University, I had a lot of fun. And I’ve built my ability of personal communication, I think it’s very important thing. Then I was realize I was not going to be a general dentist. I didn’t really following nice pathway to make your career. I felt locked in a prison, and I went around the world. First I worked in one of the Universities in South Africa. I did that for free, they didn’t pay me. Because I guessed they liked me, that I was valuable. Then was a hospital, we sweated there, looking some surgical cases, it was crazy the things we were doing. That was just a mind blowing. Then I’ve got a surgical position in Brighton. Which is enormous value to orthodontic pathway. I was struggled with the volumes of material I wanted to learn. — You have studied in Denmark for four years, calling in your lecture this country one of the best with orthodontics. In which way is it so different from orthodontics in Britain? So, I went to Denmark. British orthodontic school are very academic rather than practical. Danish University was practical than academic. And also they were taken forward students. I was considered, they probably, in a top five or three in the world. Probably, one of the top. It was good choice to go to. The “hot” program because they filled you up because of these top programs, videos, every five minutes your day was full, still some, still more time. In Danmark that was really very focused on a practice. These teeth twisted, this plan, thinking about the item, how you are going forward with this event. It was real focus on actual clinical outcomes. It seems, on my opinion, that the British University is a lot more theory based, the long massive volume of information, then repeat this back to demonstrate you’ve learned this information. 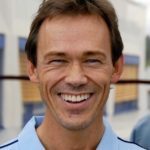 Also high street orthodontics in Denmark is supposed to be some of the best in the world. Britain doesn’t have that reputation. — How did you start your career in the UK? Where there any doubts then that you were going in the right direction? When I qualified I came back to UK. 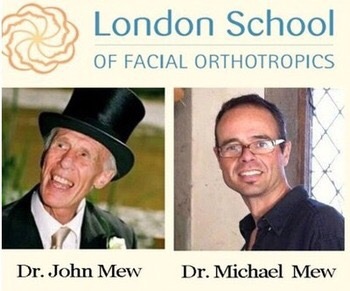 I’ve started doing orthotropics here on London School of Facial Orthotropics one day week with my father as I’ve done many ears before. Then love, marriage with that Turkish girl. It was a disaster. You have not happy marriage when you focus all your time on your dedication, want to achieve something which gives something. Now I’m with Lyudmila. She is my wife and mother of my children. But that time I had two choices: well, either I go to big conventional orthodontics, except conventional orthodontics, make money, enjoy my life another ways. Or I focus on orthotropics. In this case I really need to be bullied, be a hole hawg. And I couldn’t think I can find someone who really like it. Who were happy to move suburbs and live five minutes walk away of my clinic. And allow me to throw ridiculous hours, my future on a whim, on a passion. I went to Denmark to become an orthodontist. But I all time I was really questioned, concerned about what I’m going to be taught. I asked many questions to the lectors, sometimes made them stupid. But I was there not for that. I didn’t want to throw my ideas. I had to wait for calls. 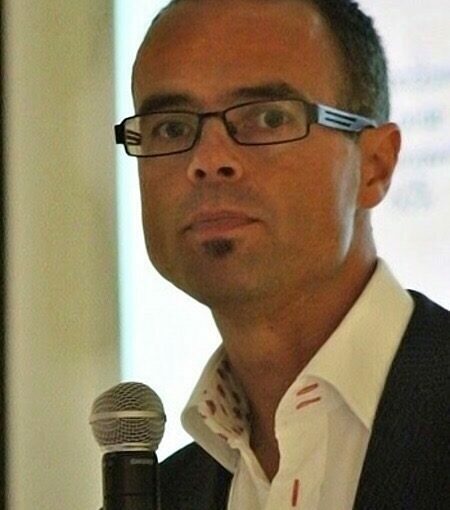 Professors in the Dutch University had a lot of understanding how faces grow, so it was a great education. I’ve got a lot of knowledge, but I would never probably used much of it. To spend three or more years in that level of hard work. And that was just a paper, not the knowledge. 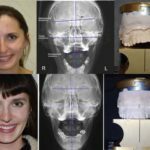 — When did you realize that you get better results in the facial development of your patients than traditional orthodontics? I guess that was 2011-2012 I moved down beside clinic here. The clinic was working one day week, we were loosing money, we had a very minimalistic clinic. But we were getting nice results. Made an afford to change and had really nice results. When I look around other facial results some other people, we were ahead. A couple colleagues in my lifetime was well respected, well qualified, somebody showed to me his ten best results he ever achieved. And they didn’t compare well results too. No comparassing. — In one of the recent videos your father confessed that he “might have destroyed a girl’s face” in the beginning of his career (although that wasn’t entirely his fault). Did you make such mistakes? I made a few people worse in my time. I worked in a “big factory” of orthodontic practice and twisted. And I didn’t see the patients all time, every time that was a different orthodontist. You see them when they started and twice through the treatment. I didn’t make the treatment plan, I was functionary and I was “a little hawg within a whil”. But I was really unhappy with outcomes what we were doing with the people. 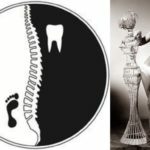 — In 2009 you published in British Dental Journal the article “A Black swan” about evidence in orthodontics. Please tell us more about this article — what inspired you to write it? I was deeply worried when 1996-97 my father was thinking of borrow lot of money to make a film to say what he wanted about his ideas. I saw he was getting more and more frustrated. I thought I need to do something to gain my father the recognition he deserves, and I was following my passion. The evidence says continue to get these great results. We were making not much money but we are making people better, and you see this. I mean the pictures. I was not happy, worried about my father, his recognition. These people were so rude to him. That was unnecessary. He was such a gentleman. Even “behind the scenes”. And people was just so, so rude to him. I remember in the Brighton Conference professor, doctor from Michigan Jay Bowman putting a picture of our family house on his presentation and just has ridiculed my father in a whole auditorium. And my father was sitting in the very front row righting Jay Bowman. But after the presentation my father went to him, shaked his hand and told to him: “I think we should talk sometime”. But he was outally rude to my father. You understand the feelings of a son, whose father was insulted such a way. So I thought I should do something. And in 2009 I wrote the article “A Black swan”. I mean a black swan is an unusual event. You know how you can think — you think you can understand things. I used the analogy with a black swan because I’ve been reading upon a philosophy of Karl Popper in science. It’s very difficult ever prove anything. You can’t prove the sun gonna come up tomorrow. Probably well, almost sertainly sun will come up tomorrow. 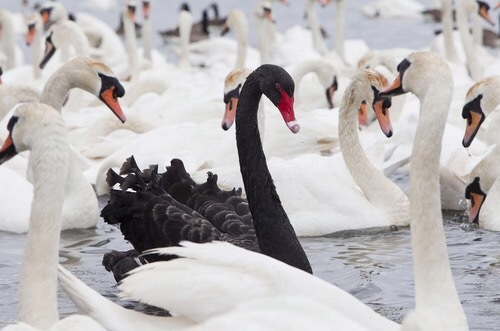 But regarding to science, the analogy of the black swan means you can more or less prove the swans are white because every swan in exictence (almost) is white. But in some regions of Australia you’ve got black swans. Just there. So if you never have been in that regions in Australia, and you’d look all another swans in entire planet, you would concluded that all swans are white. Then you got to Australia and you could be demonstrated you’re wrong. So you can’t prove these things. You can ever disprove things. And clearly these orthodontic people was throwing the concept of me and all the time tell to me: “prove it, prove it, prove it”. What should I prove? 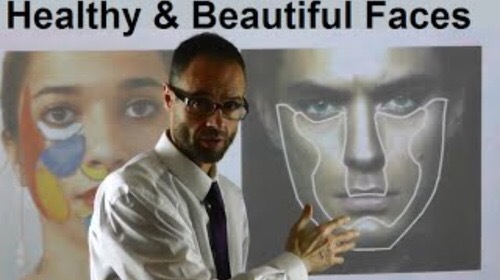 I can show you lots of changes, fantastic changes in facial form, I can promise you, that things can change the way better than in your clinics. Probably approaching hundreds of clinics and lots of universities. I’ve always seen before and after the photographs and as a result they will get the old person. I myself was with open mouth look stupid, and I turned improvements myself. 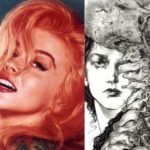 So I make improvements in facial form and some other methods can too demaging. You always have a random sample of improvements and I see a lots of nice cases. A lots people showing good facial changes. But I don’t think the facial changes can compare with our best facial changes the more on a level of our average to poor facial changes. But we’re getting that type of results in almost everyone case. They think we just treat a lot of patients and we got educational case going well and we make lots about it. It’s a shame we don’t have an open dialogue. It’s a shame that there is no communication, where we can angaging. So this was the purpose of the article “A black swan” that I wanted to tell to auditorium. I went to the British Dental Association and I met with Stephen Hancocks, who is excellent, giving me his time in the British Dental Journal. And such a way I’ve wrote my first article. He was writing my words down as I’m full dislexic, I can’t write too sentences together. And “A black swan” was published in the British Dental Journal. So what I’m Saying is that you can’t prove anything, you can disprove things. 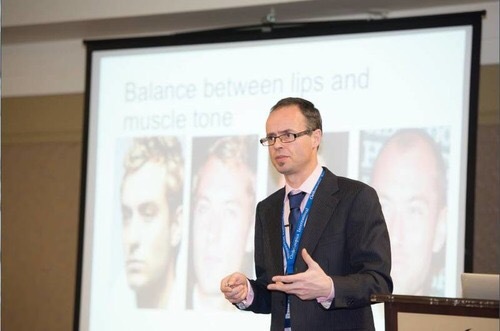 And I asked the orthodontic community to trying disprove what I was saying. I challenge them to debate on why teeth are crooked. We are treating all these patients, so we need to understand, why the teeth are crooked. We need a debate. 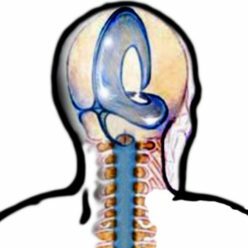 — How was the concept and brand of orthotropics developed? Who helped you with this? This point I was trying to expand my clinic. Basicly I’ve sold my house, I still had some money in a bank, but I’ve burn it all, keeping the clinical life. And I’ve got Kian came along. Social media just was developing that time, and he was very useful. That time were a lot of non-UK people, coming into the country. And good avenue for them was to study the dentistry. We qualified a few of them working here in clinic. We just pumped social media, we’ve got a name, we’ve got a brand, we’ve got a concept. Kian as a lot of people told me that YouTube need to be taken off, that need to do video, thousand videos on a lot of different subjects. So we started making YouTube videos. I actually wanted to say what I thought, something interesting, that I was believing, I was giving this information out there. I didn’t even really noticed when three-four years ago YouTube really was going well. I don’t really see or meet you, but I have a strange connection to this group of people who gives me strength. You give me hope, thank you very much. Sign the petition. 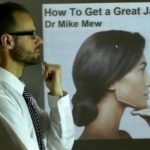 Websites of Orthotropics: johnmeworthotropics.co.uk/, orthotropics.com.